CBS This MorningFour-year-old Orville Young, right, is is believed to be one of the first patients in the Minnesota cluster of acute flaccid myelitis patients. Six children in Minnesota have been diagnosed with acute flaccid myelitis since September 20. The disease usually presents itself at the end of a cold and then causes muscle weakness. Symptoms can worsen to paralysis and eventually death. Minnesota usually only sees at most one case a year, so the outbreak of the polio-like illness is concerning. Six children have been diagnosed with a rare and potentially deadly polio-like disease in Minnesota, state health officials revealed Friday. Minnesota typically sees, at most, one case of acute flaccid myelitis a year, so it’s concerning that such a large group has presented with the illness at the same time. Not much is known about AFM, which mainly affects children, and it doesn’t have a cure. All six patients are under the age of 10 and have been diagnosed with AFM since September 20. They come from all over the state, including the Twin Cities area and northeastern and central Minnesota. CDCThe above graphic shows how AFM affects the nervous system. The condition – which attacks the nervous system – causes symptoms including neck weakness or stiffness, drooping eyelids or a facial droop and difficulty swallowing or slurred speech. AFM can cause paralysis that can prove deadly if the patient loses the ability to breathe on their own. 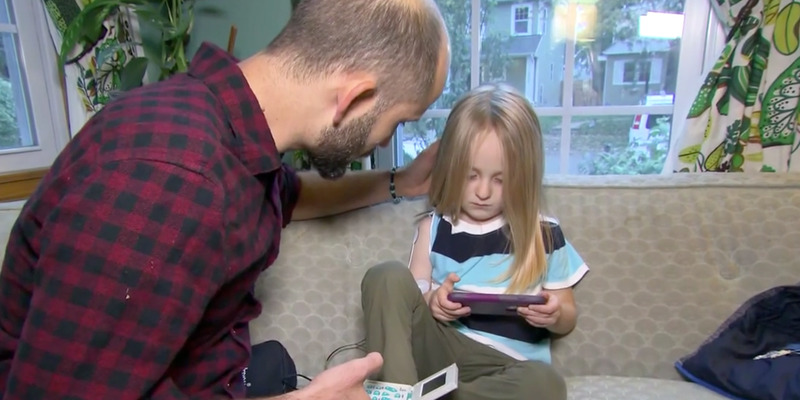 It’s believed that the condition can develop following a viral infection, and indeed, the parents of two of the patients say their children started to develop symptoms after getting a cold. Four-year-old Orville Young is believed to be the first patient in the Minnesota cluster. His parents, Elaine and Michael Young, said that he developed a fever in July and afterwards started to lose mobility in his right arm. Luckily, he was diagnosed fairly quickly since a doctor at the hospital where he was treated wrote a paper on AFM. State medical officials released a statement on the outbreak last week so that doctors can be on the lookout for more cases. Parents are being told to make their children wash their hands regularly to reduce the chances of catching a viral infection. If their children start to show symptoms of AFM, they are being told to bring them to the hospital immediately. 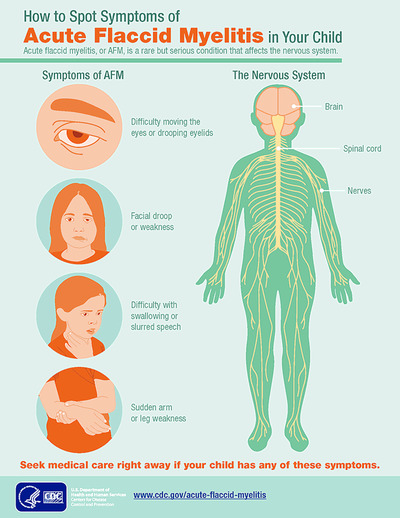 While AFM doesn’t have a cure, the symptoms can be treated and in most cases death can be avoided. As for Orville, he has regained a lot of his mobility and is back to playing video games. However, he continues to be in therapy and faces possible surgery in the future. “He’s remarkably, like, able to wrap his head around this as it’s going on. He’s kind of like, one day at a time, whereas we’re worried about the whole rest of his life,” Orville’s father, Michael, said.